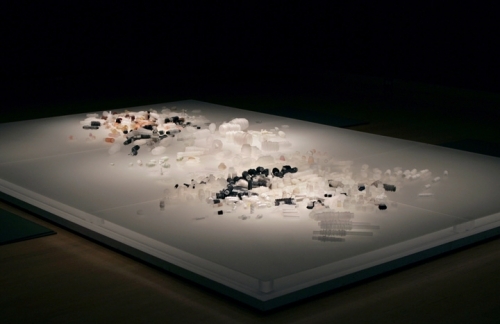 Anne Wilson, Rewinds, 2010, Glass on glass and wood platform, 6 x 90 x 136 inches. Rhona Hoffman Gallery is pleased to present its second solo exhibition by Chicago based artist Anne Wilson. Employing found materials such as table linen, human hair and lace, Wilson explores themes of time, loss, private and social rituals. 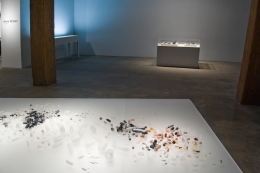 In this exhibition, Wilson uses glass- a medium in which she began working at the Pilchuck Glass School artist residency in Washington in 2005. 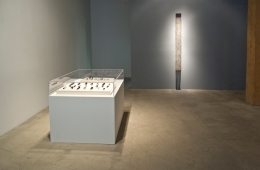 There, she became interested in the relationship between textile processes and glass fabrication: fibrous and flexible when molten, glass bends, spins, winds, and wraps. 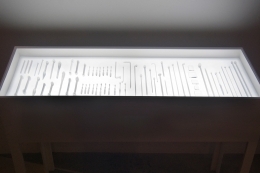 By translating fiber bobbin-winding and rewinding into glass, Wilson exploits aesthetic analogies between two distinct materials and modes of production. The largest sculpture in the exhibition, Rewinds, is comprised of a large horizontal glass platform, an architecturally aligned carpet-like space filled with an array of glass weaving bobbins. 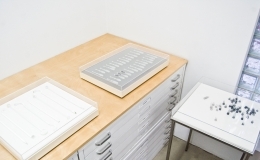 Organized in a relationship to the working processes of sorting sizes and colors in piles and rows, Rewinds implies a workspace, a topography of use. 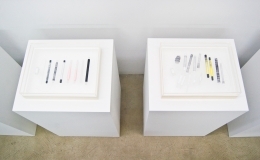 Other works in the exhibition include vitrines of glass knitting and lace tools, and glass bobbins with various colors of thread and fiber. These delicate sculptures exemplify both the industrial and hand processes they represent, fixing them in time and inviting meditation on disparate cultural contexts of making. 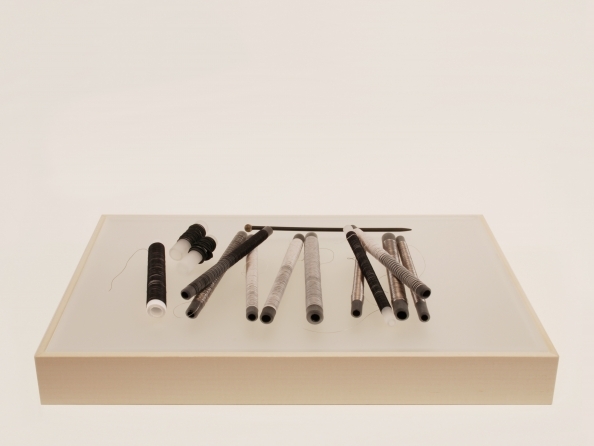 In our society of technologically-mediated reproduction, there is renewed interest in the deliberate and intimate tactility of manual craft. 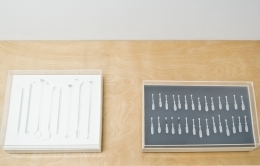 Rewinds addresses the complex subject of hand-making objects over time, and the conditions of labor in other areas of the world that rely on non-technological processes to survive. Anne Wilson earned her MFA from the California College of the Arts. Her work has been exhibited extensively, including at the Knoxville Museum of Art, Tennessee (2010), the Contemporary Arts Museum Houston, Texas (2010), and the Victoria and Albert Museum, London (2008). 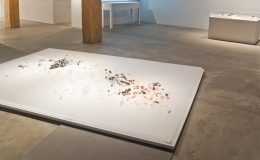 Her work was also included in group exhibitions such as "Alternative Paradise" at the 21st Century Museum of Contemporary Art in Kanazawa, Japan (2005-6) and at the Whitney Museum of American Art's 2002 Biennial. Wilson is professor at the School of the Art Institute of Chicago in the Fiber and Material Studies Department. A catalogue titled “Anne Wilson: Wind/Rewind/Weave” which documents her exhibition at the Knoxville Museum of art is forthcoming. 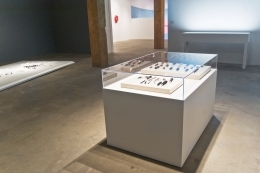 The production of Rewinds was made possible through Wilson's residencies at the Pilchuck Glass School, Stanwood, Washington (2005); the Museum of Glass, Tacoma, Washington (2006); and the Rochester Institute of Technology, School for American Crafts, Glass Department (2006). This work was accomplished with the remarkable glass skills of gaffers and glass artists Jessica Julius, Nancy Callan, Katherine Gray, Kimberly Pence, David Willis, Ben Cobb, Alex Stisser, Conor McClellan, and students from RIT with support from Michael Rogers and Robin Cass.